Inspirational Cycle Guide and Route Recon designed for indoor training. In 1910 Tour de France rider Octave Lapize publicly vented his anger at race officials yelling 'Vous fêtes des assassins!' (You are murderers!) as he passed the summit of the Col du Tourmalet for the very first time, and from that very day a mythical mountain in cycling was born. Now it’s your chance to turn up the volume and conquer the ‘terrible mountain’. Mike Cotty and Cyclefilm have teamed up once again to guide you through the 2014 Etape from the picturesque start town of Pau, once described by a French poet as having ‘the world’s most beautiful view of the Earth’ no less, all the way to Hautacam ski station. Join Mike as he shares his advice on preparing yourself and your bike for a long day in the saddle before giving a detailed insight into what can be expected out on the road come July 20th. 148km in total with over 3,000 metres of vertical elevation can never be overlooked, especially when both mountains have a very different character - the Tourmalet is longer at 17.1km and with a more consistent gradient whilst Hautacam starts with a bark and keeps on biting all the way to the top with it’s ever changing pitches (up to 13%) across 13.6km. Are you ready to tackle the highest road pass in the Hautes-Pyrénées followed by its smaller, although arguably more cocky, little brother? To succeed you will need a combination of endurance, strength and power. The Ride Recon follows the 2012 L'Etape du Tour Route Acte 1: Albertville - La Toussuire, 140km featuring Col de la Madeleine, Col du Glandon, Col de la Croix de Fer, Col du Mollard, La Toussuire. Bring a little piece of mountain harmony to your home, and build your winter ﬁtness at the same time with this 65 minute indoor training and route recon guide. Join rider, writer and marketeer, Mike Cotty, in this inspiring journey as you tackle some of the most challenging and rewarding climbs and descents in the world. Designed to keep you motivated through the colder months, each climb is broken up into a series of 5-15 minute intervals with gentle recovery periods that provide a chance to catch your breath and enjoy the scenery. With valuable advice on riding techniques, clothing, nutrition, training and preparation an enjoyable summer always follows a good winter. The only question is, will you reach the summit ﬁrst? Knowledge is power. Know the road before you ride! The Ride Recon follows the 2012 L'Etape du Tour Route Acte 2: Pau - Bagnères de Luchon, 197km featuring Col d’Aubisque, Col du Soulor, Col du Tourmalet, Col d’Aspin, Col de Peyresourde. The Cyclepassion documentary EYES WIDE OPEN goes beyond the photosessions to uncover the origins of the Calendar and brings you closer to the life of elite pro cyclists away from the stress of racing. Find out how each of the eight Cyclepassion 2011 athletes got into the sport, what motivates them to win and push themselves season after season. Cyclepassion founder Anke Wilken has combined beauty with performance and gives the world's top female cyclist a chance to metamorph from super athlete to super model for a day. The life of a pro cyclist doesn't end at the finish line. See what happens when lycra is swapped for latex, lace and leather - when sweat, blood and pain are swapped for perfume, make-up and pampering. Cyclepassion - the Sensual Side of Cycling. Every ride must come to an end, and there’s no better place for this European Event Recon Series to conclude as it climbs the infamous 21 hairpin bends to the summit of the legendary L’Alpe d’Huez. 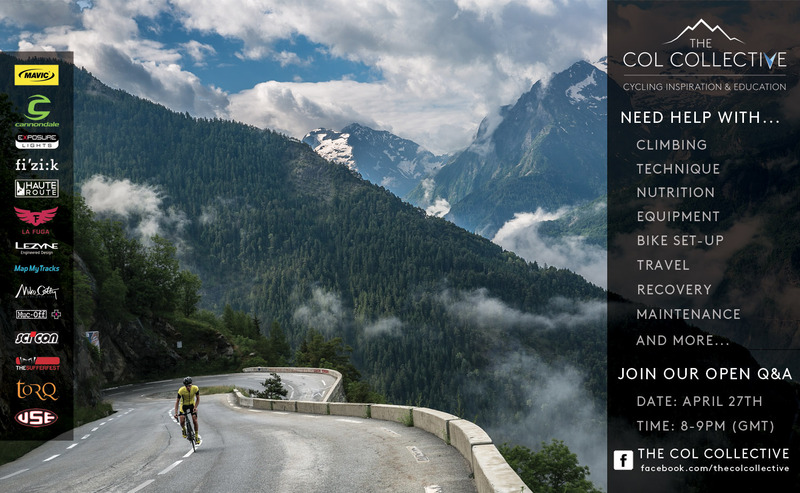 Highly regarded as one of the toughest Cyclosportive events on the calendar, and covering many iconic roads as featured in Le Tour de France, you’ll need to successfully ascend two of the hardest mountain passes in the Alps (the 1,924m Col du Glandon and the mighty 2,645m Col du Galibier) before even contemplating the final ascent of the day. La Marmotte is a true test of character and stamina for even the fittest of riders and there’s plenty to learn on the 174km circular route, with 5000m of climbing. Cotty’s valuable ‘on the road’ analysis and tips on clothing, nutrition and energy conservation will go a long way in ensuring you reach the finish with just enough in reserve to salute the crowd and punch the air in style. Set in the heart of the truly stunning Italian Dolomite mountain range, the Maratona may be a relatively short 138km in distance but it’s a course that’s steeped from start to finish in pure Giro d’Italia history. It wasn’t long before this event became the most prestigious on the Italian Gran Fondo calendar, but don’t be fooled by the spectacular scenery. With 4,200 meters of climbing, covering 7 mountain passes (including the Passo Campolongo, Pordoi, Selle and strength sapping Giau) you’ll certainly be forgiven for thinking this is an easy ride. Britain’s top European Cyclosportive rider, Michael Cotty discovers just how inspiring and demanding the Dolomites can be as he covers the route in full. ‘The Trilogy’ is a must have (legal) performance enhancer for every cyclist eager to ride and conquer some of the greatest and most challenging roads in Europe. The ultimate preview series delivering all of the information you need to stay motivated throughout the year as you count the days down to ‘the big ride!’ Join Britain’s top Sportive rider Michael Cotty as he sets out to cover the routes of the stunning ‘Maratona dles Dolomites’ in Italy, the Spanish UCI Golden Bike ‘Quebrantahuesos’ and the French alpine classic ‘La Marmotte’. If you are thinking of riding one of the events, or even if you are simply looking for an insight into the truly spectacular terrain that the Dolomites, Pyrenees and Alps have to offer, each Trilogy installment provides a detailed route analysis with ‘on the road’ commentary from Cotty and the Cyclefilm Team. Included in each volume is another 55min of bonus features showcasing the ‘Sportive Survival Guide’, providing insightful information on getting the most from a big day in the saddle, and uncut ‘Bullet Cam’ footage, giving a real-time preview of all the climbs and descents in their entirety. For many July is all about one race, the Tour de France. Three weeks of cycling glory as the professional peloton trace their way through some of the most spectacular and challenging roads the world has to offer. Watching is inspirational, doing is unexplainable! L’Etape du Tour is back for the 17th year running and it’s better than ever before. Join over 8,000 cyclists for the Alpine ride of your life as you conquer Stage 20 of the 2009 Tour de France. From the picturesque hamlet of Montélimar to the lunar landscaped summit of the ‘Giant of Provence’ Mont Ventoux. This 172km stage, with over 3,000m of climbing, can never be taken lightly especially when considering the triumph and tragedy these very roads have witnessed in the past. Watch a full reconnaissance of the stage with host Michael Cotty and the Cyclefilm team - every climb, every descent and everything in between. The Road to Mt.Ventoux is another information packed Cyclefilm production to make the most of your ride. Could this be the most beautiful L’Etape du Tour yet? Watch, ride and decide. Two times the trouble, two times the Glory! For the first time ever the L'Etape organization has opened up two routes of the Tour de France for you to ride with 10,000 other intrepid cyclists! It's decision time! Ride one, the other or both. Whatever your choice, you can rest assured that we've got every inch of both routes covered. Will it be the 109km Alpine stage from Modane to Alpe'd'Huez, crossing the Galibier or the 208km killer in the Massif Central? Both routers offer something special, both routes are challenging. We let you be the judge. As our Recon Series enters its fifth year, we leave no stone unturned to bring you all the insights, ride advice and Cyclefilm's special helping of cycling entertainment. Get both videos for the Alpine and Pyrenean Recon of the 2011 L'Etape du Tour stage. See the 174km route in its entirety as we climb the Col de Marie Blanque and beautifully serene Col du Soulor before teeing things up for the Tourmalet itself. Find out where to shelter from the wind, where to feed and what lies around the next hairpin. With over 4,000 meters of climbing it’s by no means an easy ride. After showcasing his expertise in the 2007 Etape preview DVD “The Road to Loudenvielle”, Britain’s highest placed L’Etape finisher, Michael Cotty, once again sets off on a reconnaissance from start to finish. 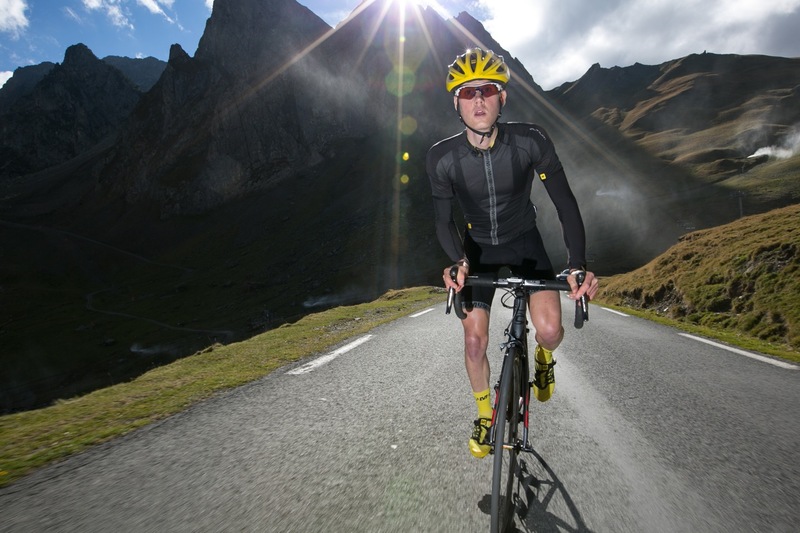 Cotty rides the 165km from Pau to Hautacam ski station, conquering two mountains along the way (including the legendary Col du Tourmalet – Terrible Mountain) and over 2,400m of climbing. On route, Cotty dishes out valuable advice on smart feeding/drinking strategies, pacing your climbing efforts and safely descending the treacherous mountain passes. The 50-min film also aims to put the viewer into the appropriate state of mind to respect this challenge and avoid disappointment or even injury. Bonus features include the 45-min ‘Sportive Survival Guide’, providing insightful information on getting the most from your big day, and uncut ‘Bullet Cam’ footage, giving a real-time preview of the climbs and descents in their entirety. This package includes the 40min Cycling Survival Guide. Five Episodes on the essentials of safe and efficient Road Cycling for beginners to advanced riders, narrated by elite endurance cyclist Michael Cotty. JOIN LIZ ON HER TRAINING RIDES AND FIND OUT JUST WHAT MAKES HER TICK. Like its abundance of fine wines from across the land, California is known for its equally sweet and dry riding that it has to offer. As a late starter to the sport of cycling, Liz Hatch became the inaugural member of the California based Vanderkitten professional female racing team in 2008. Come and follow Liz on her local training loops around Marin County, just north of San Francisco, as this inspiring and sometimes eye opening documentary unfolds. Discover how she finally made it into the world of pro cycling, what it means to her and ultimately where she wants to go. Join Liz on a ride up Mt.Tamalpais, the birthplace of mountain biking, roll along the wild Pacific coastline and circle the picturesque paradise loop as the mellow miles pass with nothing but a care in the world and the warmth of a sunny day on your back. In the end you will come to realize, it's not about winning, it's about living your dream! Ride the famous ‘strade bianche’ of the L’Eroica Cicloturistica in the heart of Tuscany. The 15 gravel sections spread across the stunning 205km course seek to recreate the golden age of cycling. Grab your most vintage bike, a woolly top and refuel with bread and brandy while tackling over 3,800m of climbing! Ride Italy’s most popular Gran Fondo, the Nove Colli, boasting over 10,000 riders. Don’t be fooled by the casual beach atmosphere of the event headquarter Cesenatico! This is a hilly Fondo! The nine classified climbs come think and fast and although the highest point at 791m is no Alp, the constant undulations are sure to take their toll on you. Travel to Marco Pantani territory and ride the appropriately named Sportive in his honour. With two of Italy’s toughest and most feared climbs on the agenda – the Mortirollo 12km @ 10.5% and the Gavia 17km @ 8% – you can surely crown yourself ‘King of the Mountain’ just for finishing the impressive 172km percorso lungo. Travel to the luxurious shores of Lake Como and cycle the rolling roads of the classic Giro di Lombardia Gran Fondo. At 143km and 1,900m of climbing, one could almost call it a ‘casual’ Fondo. Enjoy the panoramic lake views above Bellagio and visit the famous church and cycling museum atop the Madonna del Ghisallo climb – the patron saint of cycling. Go celebrity spotting at the Gran Fondo Pinarello. With stars from racing days gone by, don’t be surprised to be exchanging turns with Miguel Indurain or Michele Bartoli as you power your way back towards the beautiful town of Treviso, just north of Venice. With your six-shooter Gran Fondo mission almost complete, why not toast your success with a glass of delicious local Prosecco! Relive part of cycling history at the GF Sportful (previous GF Campagnolo) staged in the unforgiving Dolomite region. "Something must change in the rear" were the immortal words uttered by Tullio Campagnolo on that fateful day on the Croce d'Aune which prompted him to invent the quick release mechanism. At 215km and 5,000m of climbing, a truly worthwhile conclusion to your Italian Job mission. TO TRY IT WOULD BE CRAZY! TO DO IT WOULD BE IMPOSSIBLE! Are you ready to take on half a dozen of the hardest, meanest and toughest Gran Fondos Italy has on offer? Sure you are! Cyclefilm will once again show you the way with a full route reconnaissance of six legendary events. Together with luxury cycling holiday operator LA FUGA, follow us from the beautiful shores of Lake Como to the stunning peaks of the Dolomites, onto the rolling hills of Tuscany and down to the sandy beaches of Emilia Romagna. I thought this seminar by Mike Cotty could be interesting to a lot of you, so I decided to share it via my VHX download site. Please see details in the message below by Mike. Have fun and best wishes out on the road this season. Markus. With the height of the season fast approaching you may have a few questions whirling around your head in preparation for the summer months. What regions to ride or roads to explore, how to travel well, bike set-up, equipment, nutrition tips and anything else that’s on your mind? Time to get your thinking caps on and join The Col Collective and partners for a one hour Q&A open to all! Should be a fun hour and hopefully we can help as many folk out as we can along the way. Take a peek behind the scenes of the cult calendar CYCLEPASSION. The 2011 documentary is now available for download or rental. The package includes a complimentary download of the CYCLING SURVIVAL GUIDE - 40mins of tips and insights into riding Sportives and Gran Fondos.